Save The Clone Wars: Another Clone Wars Character Coming to Rebels? This week, Sean Keane, at The New York Daily News, posted an interview with Dave Filoni, the Star Wars: The Clone Wars supervising director and executive producer for Star Wars Rebels. In the article "'Star Wars Rebels' executive producer Dave Filoni talks forging alliances, hints at Darth Maul's return," Filoni shares some thoughts about bringing characters from Star Wars: The Clone Wars in to Star Wars Rebels. 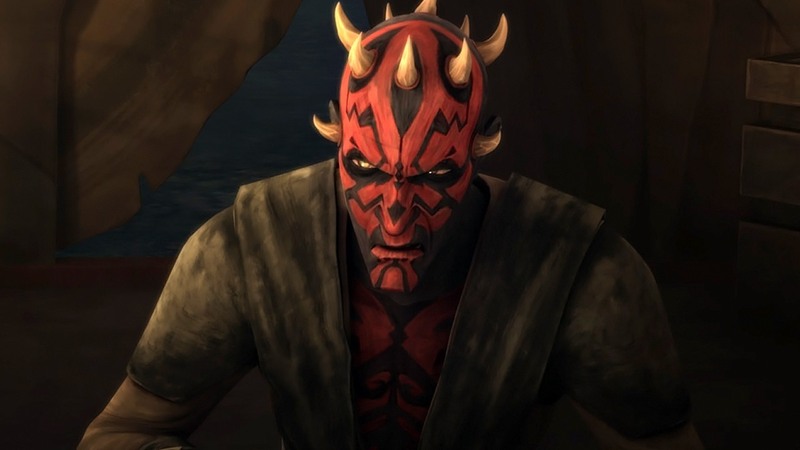 Filoni also acknowledges that a number of plotlines from "Clone Wars" were left unresolved when that show ended, including the fate of a resurrected Darth Maul (Sam Witwer), and how they could be incorporated into "Rebels." "It would be great to tell more stories with him. We had more in 'Clone Wars' and some of them we put out in a comic book form (2014's 'Darth Maul: Son of Dathomir'). You never know, he is a great character; we're just very careful which ones we bring in." The "Star Wars Rebels Season Two - Mid-Season Trailer (Official)" which was posted on the StarWars YouTube Channel on January 15, 2016 shows a character talking with Ezra called "Old Master." From 2:15 to 2:25 in the trailer, at one point we get a glimpse of the "Old Master," and it certainly appears to be Darth Maul. In the The New York Daily News article, Filoni also shares about the scale and quality of Star Wars: The Clone Wars. The last time fans saw the tattooed Sith Lord in "The Clone Wars" was the Season 5 episode "The Lawless," which saw him and his brother, Savage Opress (Clancy Brown), taking on Darth Sidious (Ian Abercrombie) in an epic lightsaber battle. Filoni says the "Rebels" team hopes to reach the scale of that episode as the series progresses. "'Clone Wars' was at a point where I really felt we were producing pretty much a feature-level thing on a weekly basis, which is very hard thing to do in animation, with the amount of characters, the detail on the sets and the backgrounds." Read More. Thus far, Rebels has seen the return of several Clone Wars characters including Ahsoka Tano, Captain Rex, Gregor, Wolfe, Hondo, Cham Syndulla, and Numa, as well as several prequel era characters including Bail Organa, Tarkin, C-3PO, R2-D2, Yoda, Obi-Wan and Darth Vader. You might want to change C3-PO's name as you have spelled it wrong.